"But I somehow didn't really want to admit to myself that I could be too weak to do this. I wanted to be a horseback guide but the challenges sometimes seemed impossible to overcome. But I had dreamed for so long of becoming a horseback guide, and I wasn't prepared to give up. And I liked the people and the general environment. So I took the challenge, stayed and went on the pack trip... me - the business suit girl who is always overdressed, wearing high heels and never camped in her whole life rode around into the mountains on horseback. Guide training really can change you! I guess that was one of the best weeks in my life. Out there we had the chance to practice what we learned in horseback guide school, and learn more by doing. I started to understand why some skills are necessary when you want to be a horseback guide. I started to see a reason why I am doing this. And I enjoyed laid-back evenings at the camp fire, amazing sceneries and bloody cold baths in the river." Breathtaking experience - riding a horse to the mountain top. It's amazing to see all our students mastering challenges and achieving a lot more than they would have ever thought they could. Our Horseback Guide School programs are a perfect way to explore, feel and be part of nature and to grow as a person. 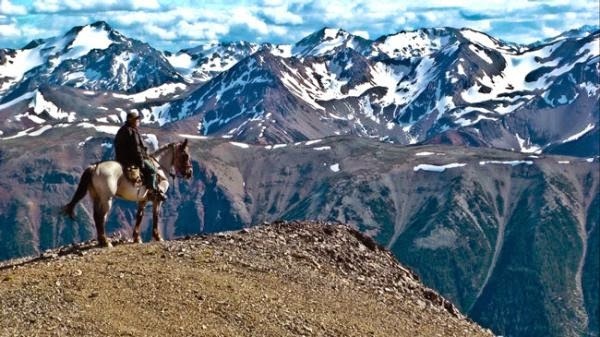 Are you ready for your unique adventure in the beautiful South Chilcotin Mountains? Let us know and we will find the perfect program for you!